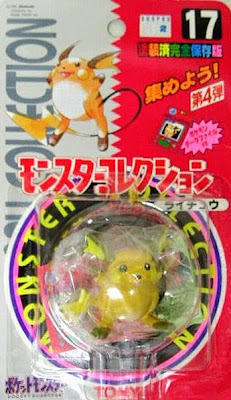 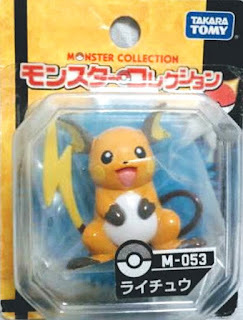 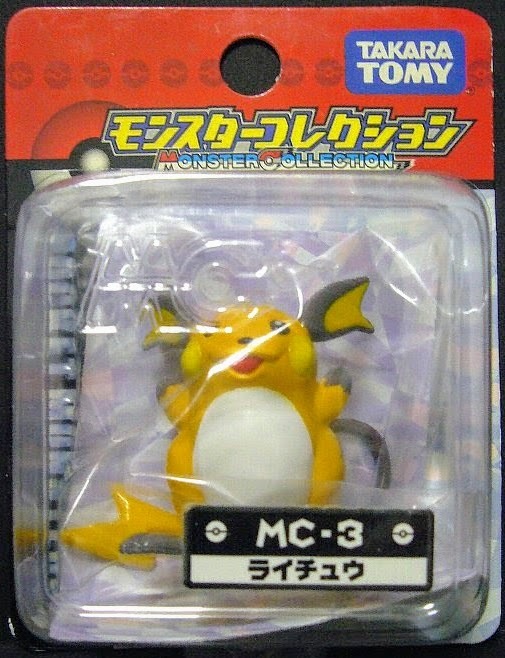 Pokemon figure Tomy Monster Collection series Raichu ライチュウ. 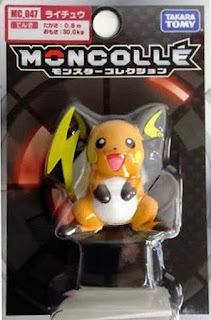 Same pose in black package series. 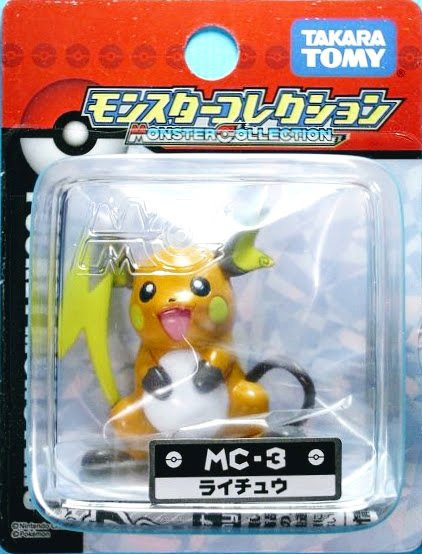 Same pose with new color in MC series. 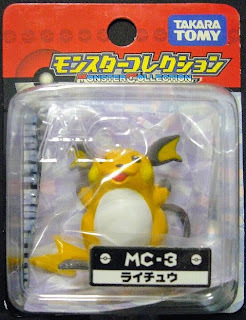 New pose in MC series. Same pose in M series. 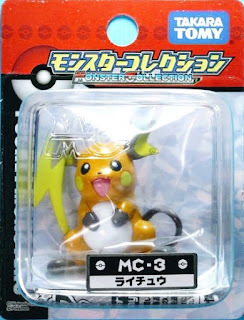 Same pose with matte paint in MONCOLLE MC series. 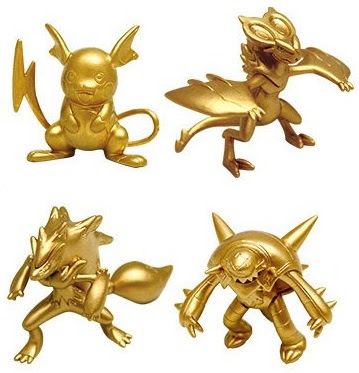 Gold version set by 2015 Pokemon TCG promotion lottery to 5 peoples. 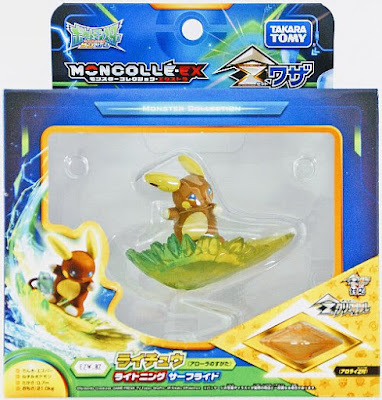 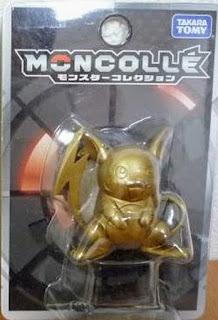 Raichu Stoked Sparksurfer version in MONCOLLE EX EZW series. 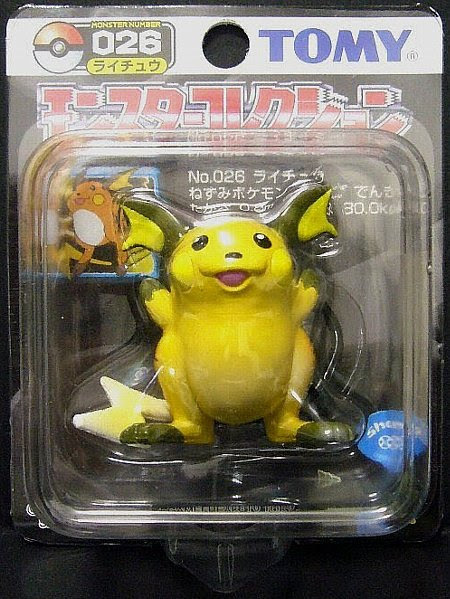 Raichu in YJ Auction ?